4th Annual @ChaliceFestival is even bigger and better than ever! We had such a blast last year that there is no way we are missing this year and neither should you! See you #710Weekend at Americas Biggest Hash Festival! Get high, get your munchies on, and get to the biggest #weed & #hash festival in America! And with this stacked music lineup make sure to get your tickets! Visit @ChaliceFestival for up to date news and info! 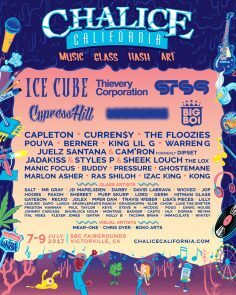 Or go directly to ChaliceCalifornia.com for tickets before they go up!